Current water treatment systems only take the junk out of water; they were never designed to remove the ‘memory’ of junk that water retains. That ‘memory’ may be doing harm in the long run. Current water treatment systems go to extremes, like distillation, to create absolutely pure water; they take all beneficial minerals out of the water and this includes many bottled water products. Drinking nothing but distilled water may be leaching some essential minerals from our bodies; distilled is considered ‘dead’ water. Most modern water distilleries were designed long before anything of the structure of water was considered important and produced pure but energetically ‘dead’ water. Not only can complex filter systems remove most everything from water, they also remove water’s aliveness, leaving one with essentially ‘dead’ water. The Ultimate Structured Water Unit removes unwanted sediment, while leaving in the minerals and characteristics that are essential elements to water that is ‘alive’. These are some of the water treatment systems, presently in use: 1) Reverse Osmosis, 2) Flash Distillation, 3) Electro dialysis, 4) Deionization and 5) Ion Exchangers (Soft Water Tanks). Reverse Osmosis (R/O) is very popular today but R/O removes all beneficial minerals from the water, plus it wastes three out of four gallons of water in the process. The most prevalent of present systems pushes water through micro-porous membranes; meshed sufficiently fine to prevent the passage of most dissolved solids. This removes approximately 50% of the salt as well as other solids with each pass. R/O processes water for small water units placed outside grocery stores as well as the domestic water supply for small metropolitan communities. The wastewater from R/O units in some places is so concentrated with salts and other minerals that it becomes a threat to the good bacteria in septic systems. One of the major disadvantages of reverse osmosis is the large amount of brine discharge that, in some cases, will have deleterious effects on enclosed bays, sometimes experiencing fish mortality. A second, subtler negative effect of R/O is the demineralization of water for human and animal consumption. This water becomes known as ‘hungry water’, with initial benefits of cleansing the body of unwanted toxins. However, prolonged use can demineralize the body, weakening the immune system. This process evaporates the water and then re-condenses it, leaving behind the dissolved solids. This process can be less costly as it is not necessary to shut down the processing plant occasionally, as with R/O for reconditioning. Distillation can refine the water to as little as 10 mg/l dissolved solids, compared with R/O’s 50% reduction per pass. The same problem of brine water, which must be drained or hauled off, exists with flash distillation. Another disadvantage is that volatiles, such as methane and chlorine, are transferred into the processed water. Electro dialysis, like reverse osmosis, also employs a screen, but in this case electrical energy is utilized. The electro dialysis process lets the salt through and keeps the water back. This is the opposite of reverse osmosis. This process involves the use of resins that carry either a positive or negative charge. These draw the elements to them and remove them from the water. They are easy to install and inexpensive for small manufacturing or laboratory use. A major drawback for high volume use is they must be recharged either by washing the resins with acid or exchanging them after as little as a thousand gallons. Some cat-ions will easily exchange with other ions under certain conditions. An example of this would be a soft water tank which uses sodium saturated salts to exchange sodium for calcium and magnesium. This system is valuable where corrosion in pipes and calcium build up on enamels, such as household appliances and swimming pools, is of concern. As the chief deleterious element in seawater and brackish water is sodium, this only increases salt problems for human consumption or agriculture. In our showers, it is feeding these salts to the largest organ in our body, our skin. Ocean water is already 80% sodium, 8.5% magnesium and only a fraction calcium. Ion-exchange resin water softeners, that is most water softeners, also remove all beneficial minerals in the water and add a great deal of sodium or potassium. They put out waste water that is incompatible with septic tanks because if you kill the bacteria, septic systems don’t do their job. For this reason, many states have banned the use of water softeners for homes with septic systems. I must start out by sharing with you that I am very familiar with the Enagic Corporation as I was evolved in their company and use to own the $4000 counter top models. In fact, I still do own it; however, it is not in use. It also took me 6-7 months to release my attachment to that machine because I spent so much money on it and it only did the water that is at the kitchen sink and didn’t address all the water that is in the whole home. Here there was a technology that took care of all the water in a home, did not use electricity, and never had to be serviced nor did it have limitations as to the amount of water that it could structure for a quarter of the price! As you could see this is a hard pill to swallow after I had been sold so well on the absolute necessity of a Kangen machine. As I began to open myself up to the Structured Water Technology, it was then that I began to realize what is the actual difference. From here on in I will call it ionization. Ionization is a process which uses electricity to electrocute the water. This can only happen because of the mineral content that is in the water. A person cannot ionize distilled water as distilled water cannot conduct electricity. Throw in a little salt and a little calcium and potassium and the water will sizzle and fry. Most people do not realize, but any water ionizer is in essence a hydrogen fuel cell. The electricity is sent to the metallic plates and because of the mineral content that is in the water, meaning the minerals are attached to the water molecules and clusters, the current goes through the solution tearing apart the most natural and essential relationship on the planet, H2O. Water by itself does not have an ionic charge. Once you add minerals, which have a bi-polar ionic charge, the water is able to be ionized. So here we have the most balanced, natural, and harmonious relationship in the world of one Oxygen and two Hydrogen’s being ripped apart from a man made outside force called electricity. The end result is that you have a mixture of frazzled H2O’s and OH-‘s and free-floating H’s. This is how the pH is increased. I used to take fresh Kangen water to my grandmother every day or every other day from my condo to her retirement home. After making a few trips we began to notice that there was a pile of hard calcium on the inside of the bottle. I had questioned its presence and my sister I believe said “oh just rinse it out with 2.5 acid water and it will come right off” and which of course it did. I began to study why this would happen and the answers slowly revealed themselves. During the sales pitch that I received from the Kangen rep, it was told to me the story of the memory of water and how that the Kangen machine will erase and clear all that. I was also told that Kangen means to return back to its origin, in Japanese. I am not sure if that is true about the meaning of the word in Japanese, I could not find anything factual on it, however I know for a fact that it does not fully clear the memory of the water. If Water remembers everything and it just came out of a chamber where it was electrocuted do you think it just may remember that? If you think not then perhaps a good experiment would be for you to stick your tongue in the light socket and flip the switch to see if you can remember it yourself, because remember you are 75% water. Each time I would have a two-gallon bottle of frazzled water, OH-‘s and a pile of Hydrogen bubbles that had the fresh memory of being electrocuted in a glass container that is sitting in my truck which had excess of electronics in it. As I start the vehicle and the electronics begin to blast electromagnetic frequencies through the glass bottle it triggers the freshest memory of the water and causes the free-floating Hydrogen to return to the natural union of H2O. When this happens the calcium that is attached to the H and OH-, which was used to do the electrocuting in the first place, is precipitated out on the inside of the glass container. Now this is where I started to really scratch my head and think if it will do that to the inside of a glass bottle… then what is it doing to the inside of my body or the bodies of loved ones whom I am giving this water to? The answer is that it will do the same. All it takes is one single transmission of a cell phone in the pocket for that natural relationship to re-unite after the process of ionization. And I don’t think it is possible to simply flush our system and arteries with 2.5 acid water to get rid of the build-up of hard calcium deposits. Another interesting thing that any ionizing organization does not tell you is that you MUST not drink high pH water an hour before and a least an hour after you eat. As we eat our food our stomach uses acid to digest what we put into our mouths. If we dilute that acid with high pH water we are simply sabotaging our own body’s natural ability to break down and absorb nutrients from the food we eat. The next point I would like to make is about the farce of needing to drink high pH water to offset dis-ease in one’s body. It is true that much dis-ease does flourish in an acidic body, but we have to break it down to a cause and effect basis to get to the true source of the disease. Cancer grows in an overall acid environment in the body. Did the Cancer cause the Acid or the Acid cause the Cancer? Neither! Cancer and Acid are just two regular dudes hanging out with each other because they are two effects of the same CAUSE. Un-dealt with fear is the basis of all disease known to man. Fear is only meant to be a natural messenger. It is meant to alert us of a potential danger and that is it. We are supposed to address the fear, thank it for its message, and then release it and we are now equipped with the knowledge to proceed with caution. In nature how many times do we see an animal get startled and then spend the rest of its existence in therapy for the fear that it held onto? We never see this because it releases the message which alerted the animal in the first place. We as humans will continue to hold onto things that we only meant to get our attention or to make us aware of what we need to do. In our holding on to fear we are sending a signal through our bodies that continually shouts, “PREPARE FOR TAKE OFF!” this signal puts our adrenal glands into over drive and causes them to continually produce adrenaline. A big part of adrenaline is called cortisol, this is the rocket fuel which allows us to get out of harm’s way and it is all good if we burn it all up. However, if we do not use it all up it just sits in our body and the cortisol creates and incredibly acidic environment! The very little slightest thought or worry of fear will cause our adrenaline system to kick in. A good way to monitor yourself, if you are living in stress (fear) or not is to notice the way that you breathe. If you are a chest breather that means you are too stressed and your adrenals are kicking out cortisol. If you are a stomach breather, that means that you are not stressed and your adrenals are resting. Notice the way that an infant breathes, from the stomach without a care in the world. When a person is in cardiac arrest and they are having CPR administered, the reason that their chest is being pumped is because the body has a built-in mechanism that with the rise and fall of the chest it will shoot adrenaline to the heart to get it kick started again. When we are startled or frightened we can often feel our hearts race and pound at the bottoms of our throats. That is because of all the adrenaline rushing to the heart causing it to pound without us even moving. The most effective way to change the pH in one’s body is to simply have an attitude adjustment which would include not allowing outside influences to trigger us and put us into that fight or flight /fear state. This deals with the issue at the source of the problem. To come at it by trying to fix it with diet and drink water is simply beating around the bush. All pH’s are just the effect of whatever caused it. You can NEVER change the cause of an effect by altering the effect. You may affect the effect, but that is just a Band-Aid on an elephant situation. The Structured Water units replicate what nature does to water in the hydrologic cycle of water flowing down the mountain stream and through the aquifer, which, by the way we do not allow to happen anymore as we never allow the water that we use to fully go through its cycle. The technology has no moving parts as water is the only thing that moves in the mountain stream. It uses no electricity as it is not natural for humanity to use electricity in any way shape or form. The technology employs multiple spherical flow forms that are spaced in specific geometric patterns that cause the water to vortex equally in all directions. 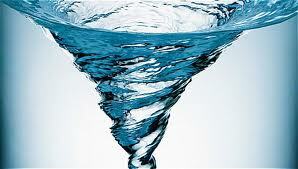 When water is spun it causes anything that is of a different density than water to separate out. This is true as there is only one thing that is the same density as water in this world and that is water. Because of this everything else that is in the water becomes structured onto itself. Most of us can remember spinning in circles as a kid and then stopping really fast only to fall down because our energy field continues to spin while our bodies stop. That feeling of dizziness occurs because the polarity of our energy field is going against that of our bodies. The same happens with all the properties in the water. The calcium no longer has an ionic charge and cannot attach itself to itself or any surface. When Structured Water dries, the calcium becomes an inert powder and can be easily blown or brushed off. If there is excess mineral build up in the pipes of your home or in your hot water heater within two to four weeks it will all be gone. Now, if it will do that to the pipes in your home it will most definitely do it to the pipes in your body (arteries). Plaque in the arteries, to simply put it, is nothing more than calcium deposits. By far the biggest difference between the two technologies is a famous phrase and title of an outstanding book, “Power vs. Force” written by Dr. David Hawkins. A highly recommended read wherein the author can find and calibrate the source of any and all things to either be from a place of power or a place of force. Anything that is found to be of force is considered to be negative for life and anything that is of power is on the positive end of life. It also equates to different levels of consciousness meaning that the higher the number the higher the consciousness. When things are found to be coming from a place of power it is evident that they occur with ease and grace. On the counter, to the things that are of force, take exponential amounts of energy in comparison to using power. With ionization, the electricity is a force that tears apart the water cluster. It is an external force or an outside influence on the water. 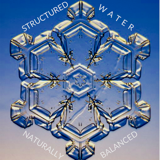 Structured Water™ on the other hand is created because of a power that is unleashed from with-in the water molecule. This power (bio-photon) helps overpower the electromagnetic bonds that attach all the minerals and other physical properties in the water. As you can see one technology (ionization) is using force (electricity) to treat the water while the Structured Water technology generates a natural power (chi energy) from with-in, which is then able to support the nature that is in all life.